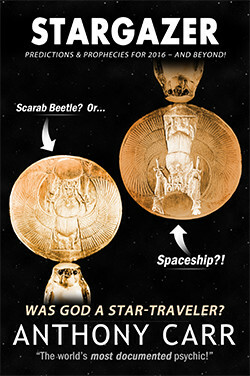 STARGAZER: Predictions & Prophecies for 2016 – and Beyond! Justin Trudeau: Canada's Pre-WWIII Neville Chamberlain? This new Prime Minister, Justin Trudeau, will prove to be Canada’s version of Pre-WWII British Prime Minister, Neville Chamberlain. (Remember? “Peace in our time”?) Hitler wiped his derriere with the document and proceeded to plunge us into the worst global conflict of the 20th century! I don’t believe Trudeau will see the end of his first term because of the terrible events ahead! Canada will replace him with a wartime Winston Churchill-type. 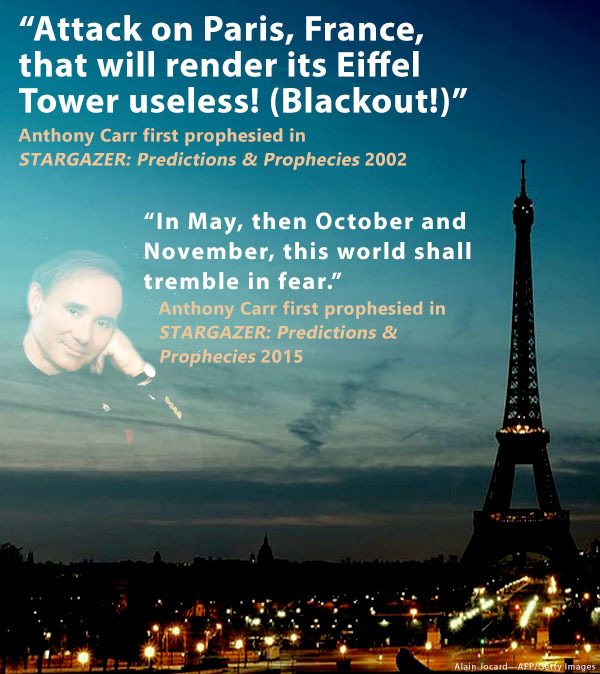 Read More of Anthony's predictions & prophecies for the coming year by clicking here.